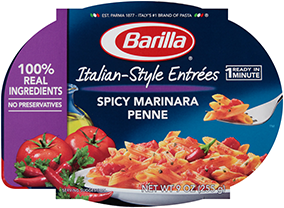 Barilla® Organic pasta is certified USDA Organic and Non GMO Project Verified for pasta you can trust. Barilla is committed to the well being of our community and the planet, and supports organic wheat farms that utilize sustainable farming methods. Made with high quality organic durum wheat that cooks perfectly "al dente" every time, Barilla Organic pasta is a perfect way to bring healthy eating to your table every day.